Republican gubenatorial candidate Scott Milne says he is disinclined to seek a recount of his narrow defeat to Gov. Peter Shumlin, deeming it a long shot that would still force him to go to the legislature to seek a potential victory. While he will not make a formal announcement until tomorrow, Milne, who won 45.1 percent to Shumlin's 46.4 percent, said in an interview that he would need a "miracle" to overcome his current deficit of 2,400 votes. And he noted that, even if he pulled ahead, neither he nor Shumlin would clear a 50 percent total, which is legally required to avoid sending the decision to the legislature. "We're leaning toward 'probably not' with that," Milne said. "It probably won't work. Taxpayers would spend $60,000 for a recount where, even if by some miracle it worked, it's still going to the legislature." Milne said he has not yet decided whether to contest the vote in the legislature. He has previously indicated he might ask legislators who represent districts that he carried on Election Day to vote for him. A Rutland Herald analysis concluded that, if lawmakers were to vote along those lines, the result would be a 90-90 tie. Traditionally, lawmakers have rubber-stamped the winner of the popular vote, with some exceptions. 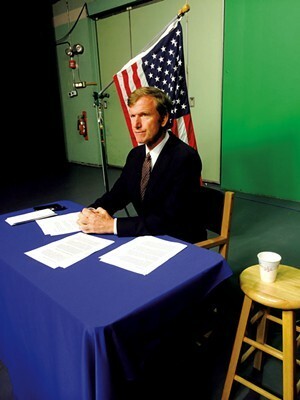 Vermont Public Radio reported that former governor Jim Douglas, one of the few Vermont Republicans whom Milne relied on for counsel during his campaign, has advised against contesting the vote. But Milne, who had scant political experience before this race and received little help, said he will continue to trust his own judgment. He believes his strong showing on Election Day validated that. "I think I've done a good job of using my intuition as a starting point and combining that with talking to people, particularly people who aren't in media or political elite circles," Milne said. "I think that's served me pretty well."